Once there was robbers there names were Jim and Bob.They robbed a lot of things because there robbers but once they tried to rob a house.They got rocks Jim and Bob and threw then at a window nobody heard the Big Bang because everybody was asleep.Thats when most robbers try brake into people’s houses luckily nobody was home so Jim and Bob got everything they could.But soon at sunrise the people got home they knew they god robbed by looking at there hidden cameras Bob and Jim didn’t plan out the rob so they didn’t know were to hid the money…but were would we hide it soon they were found by the police and never to rob again. I like your story because it is a robbery . You have quite a busy couple of robbers Thomas! I am glad that they were caught in the end. Such a scary thing to think about being robbed while you are sleeping! 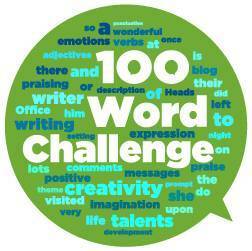 Nice job replying the this week’s 100wc prompt Thomas! I loved your story because the bad guys didn’t get away with the robbery. Nice job drawing along the suspense until the very end. Previous Previous post: Wk:10 The Robbers.